Don't find out too late that your crawl space or basement is flooding. Power outs, broken water or sewer lines and sump pump malfunctions can lead to costly repairs. Know the minute there is a water problem. 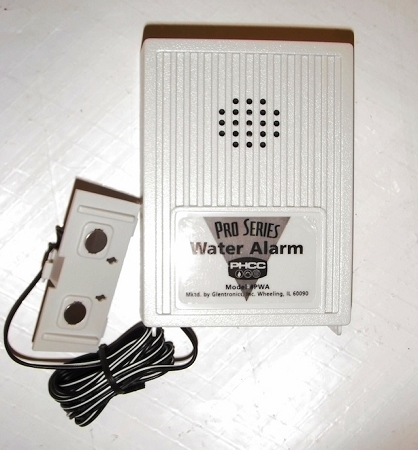 Item's water sensor has a 6' cord so unit can be installed in a safe dry place while the sensor can detect water. The sensor cord can be extended up to 100' to make battery changing a snap. Use near crawl space sump pumps, hot water tanks, toilets, under sinks or anywhere water can cause damage. Requires 1 - 9v battery included.